Over seven glorious days in the Australian tropics, 233 boats and almost 2000 sailors from across the international yachting community come together to celebrate Hamilton Island Race Week. A six-day tussle between the TP52 division saw team Hooligan (of Marcus Blackmore) seize the IRC Division 1 award from the Ichi Ban team with just a day remaining. 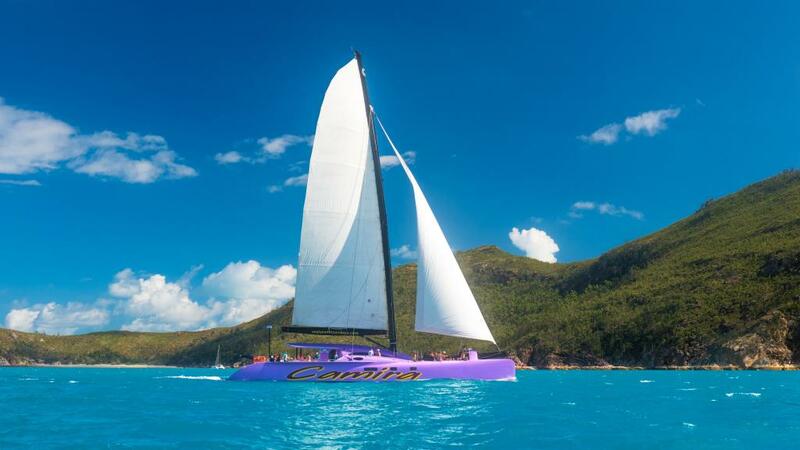 Racing a course that circumnavigates Baynham Island to the south of Hamilton Island, Marcus Blackman said the big win had been on the cards for over a year. "We set a plan last year to win Hamilton Island Race Week. "We bought a boat from the Roemmers family in Argentina that had won the TP52 Super Series and set a goal. It was an emotional day yesterday; there's been a bit of argy bargy between us and Ichi Ban," Blackmore shared. "We've been match racing all week; I don't know how many tacks we've done this regatta and to ultimately win is pretty exciting." The IRC Division 4 win was awarded to Graham Furtado’s X41 Matrix, a well-respected team from Queensland. The division winners from across the race met at Hamilton Island’s Convention Centre for the official gala awards ceremony on the evening of August 26. Regatta Director Denis Thompson remarked on the success of the 2019 race week, with special mention of the good sportsmanship this year. "We were able to race every day in a combination of light to medium to heavy winds. It's always tricky because of the wind and tide. The team worked hard to come up with courses and shorten when we needed to.